Research studies testing new treatments for infertility have collected and reported many different outcomes and outcome measures. For example, when a new infertility treatment is being tested, one researcher may decide to measure pregnancy (one outcome) and another researcher may only measure live birth (a different outcome). When complete, the results from both studies cannot be easily compared or combined to see which treatments work best. This is a barrier to improving care women and their families receive. The development and use of a minimum data set common to future randomised trials and systematic reviews, would ensure outcomes important to all, including people with infertility, will be collected and reported in a standardised fashion. Our aim is to overcome this barrier, by developing a common set of outcomes that all researchers testing new treatments for infertility can use. Our partnership is bringing together people with experience of infertility, healthcare professionals, and researchers. We aim to ensure that those who fund and undertake research evaluate new treatments using outcomes which really matter.If you have experienced infertility, either as a patient or family member, or have expertise in infertility as a healthcare professional, you can help to ensure that those who fund and undertake future research answer questions which really matter. If you have experienced infertility or have professional expertise in treating or researching infertility, you can help by becoming a citizen scientist. We want to know what outcomes you think are important in a three round questionnaire. Each survey will take no more than fifteen minutes to complete. Whoever or wherever you are please help to improve infertility research. We are drowning in research that is singularly lacking in impact. Our approach will ensure that those who fund and undertake future research measure outcomes which really matter, securing the necessary reach and relevance to inform future clinical practice and improve care. The Nuffield Department of Primary Care Health Sciences at the University of Oxford delivers world-class research, engagement, and training that advances care, influences health policy, and develops professional skills for the delivery of better health care in the community. 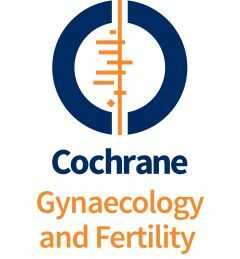 The Cochrane Gynaecology and Fertility Group has recently celebrated 20 years of preparing and publishing systematic reviews. 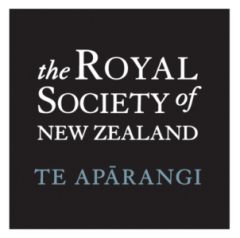 With nearly a thousand authors and over 200 reviews, they are well aware of the need for making research more efficient, accessible and influential.